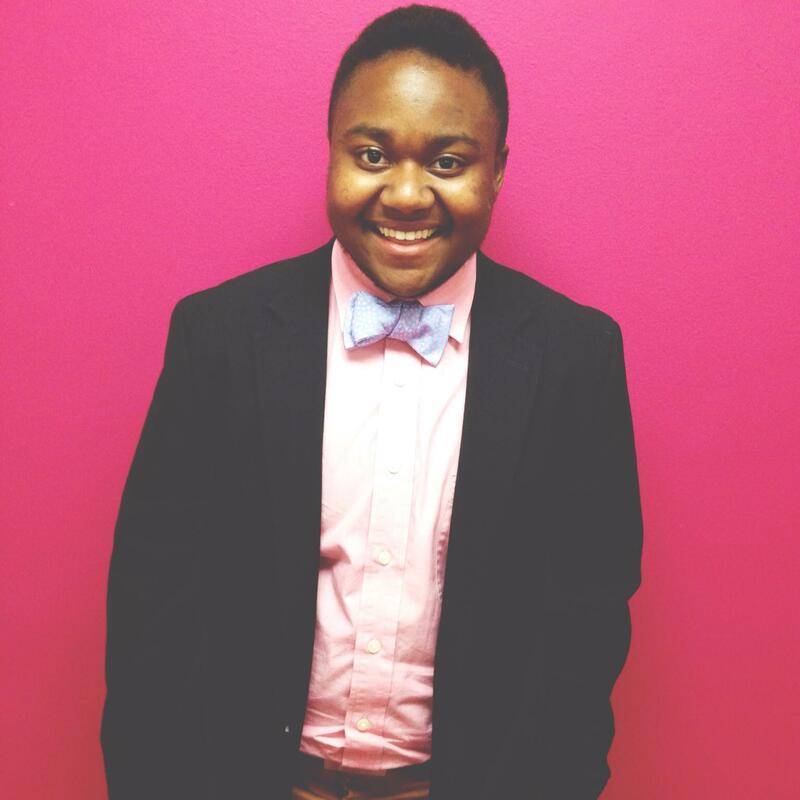 Ki’tay Davidson, alumnus of the American University Debate Society, passed away on December 2nd, 2014. He was 22 years old. What could be a more perfect mantra for navigating APDA and life? In the end, my interactions with Ki’tay were miniscule compared to the relationships he had with your team. That is why this is a letter and not eulogy; I could never hope to capture the Ki’tay that you love. But where our ground is common is that I know what in a team that Ki’tay was a part of. I was fortunate to find defining friendships on a debate team of my own, the Rutgers University Debate Union. If your experience was anything like mine, the kinship made in such a unit is unlike any other. My relationships on my own team have defined me for the rest of my life, in a way that I’m sure knowing Ki’tay defined you. I found RUDU to be a special kind of enclave. It wasn’t just a team or a club. It was a safe place where I think every member could take a shot at what it meant to be truly sincere with the empowering support of like-minded friends. It was truly a Good place, and it was Good place because of people on my own team, like Ki’tay, that can make out little group greater than the sum of its parts. And that’s why I feel such personal pain at your loss. While I am not a member of the American Debate Society, I can begin to understand the wellspring of grief that comes from losing a member of your second family. After I heard about his death, I took a look at the RUDU team picture taken last year. I looked into the faces of my current and teammates, people I had known for years now and I would hope to know for years to come. I thought about how knowing each of them defined me in a certain way, to different degrees, but all with influence. And I thought how traumatic it would be to lose any of them. I would lose a partner to the experiences of long van rides, to team dinners, to playing board games, to bowling, to arguments, to conversations, to laughter, to bubble rounds and break rounds and everything in between, to genuine experiences of knowing another person. I would lose a piece of myself; my experiences in RUDU important in the context of who I shared them with. This provides my base to only begin to understand the real grief you must be going through. In the sadness that results, I hope I can offer some things that I find to be true about those who define us. The grief is painful, but it is the result of an amazing lived experience, to be part of a group of human beings that can connect in such an empowering way. From there I offer my sincerest condolences to the members of the American University Debate Society. While it is unjust to lose someone as amazing as Ki’tay, it teaches me to understand what enriching, magical places ADS and RUDU can be and how privileged we are to be able to spend any amount of time there. I hope that offers some solace. May Ki’tay rest in power. This blog post is inspired by a blog post from my former debate coach at Rutgers, Storey Clayton,who wrote about the suicide of Robin Williams (You can read his blog post here). I suggest you read it if you have the time but for those who inevitably don’t, one of the premises of the post that I’ll be elaborating on is how depression is treated as a clinical disease by the majority of society, with a basis only in the malfunctioning physiology of the patient and not in reaction to worldly forces. I agree with Storey’s premise that depression needs to be acknowledged as an often justified reaction to the cruelty the world can inflict on yourself or others. Justified doesn’t mean that it’s the most useful reaction to have. It just means that it’s understandable how a certain chain of events could lead to a person experiencing depression and it’s related emotions. I disagree with Storey the depression never has a physiological internal influence. I think some people may have a higher than normal amount of certain mood-altering brain chemicals which may make them more sensitive to depression and related emotions (I intentionally do not use the phrase ‘chemical imbalance’, because it brings us back to the issue of clinical-ism where the imbalance is only perceived compared against a supposed healthy ‘normal’). However, despite the instances where depression and/or suicide may be exacerbated by pre-existing physiology, I still adamantly agree with Storey’s stance that the best way to help depression is fixing the ills that justifiably make someone depressed. For reference, I will call this the ‘holistic’ method, which includes making the environment around someone less triggering for depression. I will refer to the counter-philosophy of treating depression as an abnormal physical disorder with drugs and clinical therapy as the ‘internal’ method. In order to answer this question, we need to examine depression through the context of ableism. I took a fantastic English course in the Spring that had a focus on social justice literature. Before I took that class, I didn’t really understand how disability could be a social justice issue. Race, gender, etc. made sense to me because I always understood them as socially constructed. But I was under the false-impression that disability was some kind of objective physical difference, unaffected by external force. I realized soon I was very wrong. The only reason why a physical feature could ‘disable’ you is because society has structured itself in a certain way to may that physical feature a drawback. Thus, as I understand it, disability is a social justice issue because what makes you disable is ultimately a societal construct. For example, if society elects to make all buildings wheelchair accessible, suddenly being paraplegic becomes less of a disability. On the flip side, if society elects to making all buildings wheelchair inaccessible, a paraplegic becomes much more disabled. As the point that a disability can change based on the social structure, it is in no way an objective feature to grade anyone on and the answer most from a holistic societal approach. The thing is, and the crux of my abelism definition, is that most of the severity of anything hurting a person (be it disease or depression) can only really be solved holistically by addressing the societal source. The internal method can only grasp at symptoms with mixed results. Let’s say there is community of 100 or so people who live on an island. This island is a former nuclear testing site and thus the ground gives off dangerous radiation. The radiation has a 30% chance of causing cancer in people in at least once in their life. 15 people (or 15% of the island) have a gene that makes their body more susceptible to the radiation. Their chance of getting cancer is much higher, with a 75% chance. Why am I talking about a fictional Bikini Atoll island? I think it works as a simple analogy to depression. Applied to depression, cancer would equal depression, the gene would be equivalent to some people’s chemical makeup that can exasperate depression, and the radiation is equivalent to the ills and cruelty of people and society that can lead to someone becoming depressed. As you could guess, each year many people in this island community develop cancer. We can give them internal treatments such as chemo therapy and while that may lessen the symptoms of the cancer, it’s root cause will make cancer continually occur. In the same way, only trying to treat depression’s clinical symptoms never actually address the source of where all this depression is coming from. You can do your best make depression go away with drugs or what not, but until you acknowledge the underlying radiation island causing depression, such work is throwing sand in the wind. Now imagine how this island community would feel if people refused to acknowledge the radiation that was killing them, that they only got cancer because they were born with an avoidable cancer causing gene. We would think such a society was in denial, yet we do the same thing in how our culture talks about depression! In the same way society creates physical disability in how it’s structured (such as using an inhabited island as a nuclear testing ground), society also perpetuates depression by creating real reasons and causes to be depressed. Back to the island. In this thought experiment wouldn’t the ultimate goal be to scrub the island of radiation or move the community off the island (a holistic method of treating the cancer)? Let’s say that such a thing was possible: that in this scenario we can scrub the radiation from the island. Even the most die-hard internal method advocates would opt to clean the island in addition to their internal treatment. While I don’t totally agree with the premise, if your conclusion ends there then I will be happy, because I think we reached a good medium. That is NOT how society thinks about depression. When people make calls for only discussing Robin Williams in terms of his mental health, to treat it as a disease that needs to be quarantined away from conversation, they are not achieving the agreeable combination that you, the reader, may feel would be best. Which was sort of the point of Storey’s blog post and the point of this one. You may not agree with me on everything, but by now I think I’ve made a compelling case that depression is beyond just a physical disease and we need to be aware of it’s roots from humanity existing in an often cruel and depressing world. So with new research into radiation removal and chemo therapy happening on the island, we may have reached what you would think of as a happy medium, where internal methods can alleviate symptoms while we are aware of a holistic approach to solve the root issue. Now let’s say you couldn’t have a combination. Let’s say you could ONLY give the islanders chemo therapy OR ONLY scrub the radiation from the island. Which one would you choose? From this choice, I think the necessity of the holistic method becomes clear. I would choose radiation scrubbing because as most could reason, the symptoms of cancer only exist insofar as there is something causing them. This illustrates how overwhelmingly important it is to recognize how our external world is affecting us because changing that is how all things change. If given the choice of only giving people intense psycho-therapy drugs OR actually creating a world where there was no cause in the depression t with, I think we would choose the latter. I still know some of you have been unconvinced of my arguments ever since you started reading (but thanks for reading all the way to the end anyway). Most still believe that even in a Utopia, depression is a purely internal illness and will affect you no matter how society structures itself. Just make the most basic observation at your Facebook newsfeed and you will see how such a belief is wrong. After the suicide of Robin Williams, I am sure you have seen many people expressing grief and sadness in statuses and tweets. When these millions of people on social media felt sad at his death, was it because they all experienced the symptoms of some latent mental illness causing irrational grief at the coincidental time of William’s death? Or was it because some things in life, like the death of a beloved entertainer, will justifiably cause depression? Rest in peace Robin Williams. May we in time become aware of the hidden demons that affected you and so many others. I wish you were here Nisha but I hope you have a wonderful birthday in while visiting your family in Texas. We’ll make sure to celebrate when you get back. I love you! Happy Birthday! It is time to channel my inner Luddite. More specifically, the smartphones at social gatherings. Even more specifically, the people who constantly use their smartphone at social gatherings. I’m a little behind the curve. I still have a regular cell-phone. It does not have wifi, it does not have apps, it can’t even record video. The fanciest feature it has is a slide-out keyboard. The slide-out keyboard was the only reason I upgraded to this specific phone…when I got it 6 years ago (For reference, that’s 4 iphone generation ago). I think it is my lack of a smart phone which causes me to notice how much people use/abuse their own smart phone when outside the house. I have been to too many parties where every half-minute means a glance to whatever black rectangle Verizon gave them the best deal one, immersing their faces in Silicon Valley-produced bluewhite glow. One too many dinners where a glance to my table mates gives me the sight of them staring right at their crotches, the same bluewhite glow emanating from the region. It does not matter if me, their brother, their girlfriend, the pope, or the president was starting or in the middle of a conversation with them: the phone must command their intention. Many people put their phone directly on the restaurant table, as if their smartphone was as important to their dining experience as their fork and knife. What I think shocks me the most is the audacity that now seems standard of people who will, in the middle of a conversation, literally stop looking at you, bow to their phone, and look back at you as if nothing that they just did was totally weird or disruptive to human interaction. Sometimes I look over someone’s shoulder to see what exactly they’re doing that forces them to phase in and out of the digital world. Maybe their parents are worried about them and want updates. Maybe they’re chatting their best friend, who they find infinitely more interesting than the duds at the party. Maybe they’re talking to their significant other who couldn’t make it that night. Maybe their awaiting an urgent text from the state department to rescue the president’s kidnapped daughter. While I still don’t find these reasons totally acceptable, they’re at least understandable. But here’s the biggest thing that shocks me about smart phone use in human settings: The sheer banality of what they’re using their phones for. Too often I look and the person is simply playing Bejeweled or Candy Crush or taking Buzzfeed quizzes. Which means they are literally diverting their attention away from the entire party around them or the person trying to carry on human interaction with them so the can non-literally CRUSH CANDY. Imagine if I carried around a Nintendo DS with me everywhere I went and every time you tried to have a conversation with me I would turn away and play Pokemon. Or imagine we went to dinner with friends and I insisted that I bring my gameboy with me and keep it on the table. And when the waiter tries to ask me for my order, I’m too distracted trying to beat the Elite 4. You would think I was crazy. Or 10 years old. And yet we allow similar technology to disrupt face-to-face human interaction without anyone making much of a fuss. Why? By now I’ve probably come as pretty cantankerous. Maybe I’m lacking foresight into how beneficial certain technologies are to society. I’m sure some monk carved a pretty ranty wood-block with the advent of the printing press, claiming that people are too engrossed in books now to interact with each other personally. What I think is different about smart phones compared to other media is how they pervaded every context of out interactions with each other. With all media devices pre-smartphone, we developed specific contexts and times when we utilize them separate from each other. I would never read a newspaper while playing a video game nor would I try to play the violin while writing a novel. My verbal communication (talking to people personally) would happen separate from my written communication (letters, emails), and if I had to combine them there an acknowledged drop in quality of the experience I could be receiving from the respective communication mediums. Just like playing video games and going to dinner should be separated because combined they both diminish the quality of the other. Maybe I’m the only one, but the reduction of enjoyment and meaning still holds true if you combine smartphones and personal human interaction just as if you tried to conflict any other medium with personal human interaction. Then why do people do it now with smart phones when they didn’t do it with past mediums? I think it’s because smart-phones (and cell phones in general) have fundamentally changed how people relate to technology. No other medium before it was as attached to our body as the modern cell-phone. A phone is carried 24/7 by those who grew up with them. It is one of the first things people interact with when they wake up and one of the last things they use before they go to bed. Even past media devices designed for portability, such as paper back books, handheld video games, or mp3 players were never seen as important to completing the Self as our phone. These little totems that we clutch all the time, with their ethereal blue-white light, have become indistinguishable for some people from their own consciousness. I think unknowingly people treat accessing the internet on their phone no different then having a thought to themselves while listening to someone speak to themselves. This may be what I find most unsettling about smart phones. They are the first bio-technology, of melding technology and Self, and no one seems to notice it. Maybe that’s why it’s the first successful mass bio-tech. Maybe for technology to successfully meld with our mind and bodies, we have to not be aware that there is new technology guiding our actions and altering our self, just like how we can’t feel our own cells dividing or consciously change our heartbeat. It’s frightening because I feel like I’m of the few noticing this drastic change in social interaction. I guess everyone’s too distracted by their phones to think about it. Every conscious being actually exists as two persons. One person is internal and is composed of the thoughts and feelings only perceived by the conscious being. The other person is external and is composed though how other conscious beings prescribe meaning to the actions of the singular conscious being. The internal person and the external person are two different people. The internal person perceives the external person as what the internal person is pretending to be, but not fully representative of the internal person’s thought and feelings. As a consequence of the internal person’s solipsism, it fails to realize that the external person is what they are in the eyes of every other conscious being, but more importantly in the eyes of other internal persons. I want to extend on Vonnegut’s claim and say that this is the only moral I’ve so far found 100% applicable in life. It’s striking when put in the context of sadness, depression, and loneliness (which are emotions that act as a triumvirate). The triumvirate grows in proportion to the distance between the reality of the paired internal person and external person. Simplified, you will be depressed when you don’t believe you are the person you’re pretending to be. Think of any time you’ve been depressed and/or felt lonely and I can guarantee that the cause can be traced back to the distance between your two persons. For example, let’s look at it through the context of divorce. Why does the divorce cause sadness? How does it lengthen the divide between persons? When you’re divorced, the action happens immediately for the external person. The external person is recognized as divorced by the government, recognized as divorced by the external person of their partner, and acknowledged as divorced by friends and family. These perceptions create an external person very different from it’s internal counterpart. The internal person is made of one conscious being’s thoughts and feelings. When the divorce is finalized, the internal person doesn’t instantly stop missing their partner. The internal person is still accustomed to the familiar emotions generated by the presence of their ex-spouse. The internal person probably will still have the same thoughts that a spouse will have (thoughts about their ex, thoughts intertwined with how to affect the destiny of their other spouse). The conscious being is pretending to be divorced because the internal person thinks like that of a married person. This is what causes subsequent depression post divorce. To alleviate that depression, you must reconcile the differences between the internal and external person. This is what people are actually feeling when they feel and say that they have “moved on” from a relationship. The moving is the motion of the internal person becoming more like the external person. Divorce is just one of infinite examples of human experience that are affected by the gap of our two persons. I could write a million words detailing examples, but I don’t have to. Simply look to literature, to film, to your own life and experience. It may be hard for some of you who a bit more solipsistic, but in every singular event, two people are changed. They don’t change the same way. A distinct image remains in my mind from this year’s North American Debate Championships. It was the night of the formal banquet, a tradition title tournaments feature where everyone wears fancy clothes, sits in the university’s nicest banquet hall, eats bad vegetarian food, and nervously wait for the break announcements. In Canada, the drinking age is 19. I know this because at the time of the banquet I was 18 years and 352 days old. The Canadian government had yet to deem me fit for the consumption of alcohol. Others partaking in the banquet did not have the same restrictions I did. I saw five our so Canadian debaters I didn’t recognize standing in a circle, talking. Dressed in evening gowns, crisp black suits, laughing coyly, and glasses of red wine in hand, they resembled what someone might find in an F. Scott Fitzgerald novel. As early as 5 years ago, they would have been signing yearbooks, worried about getting grounded, eating lunch in a stuffy school cafeteria with hordes of other kids. In light of this, it seemed to me that the people I was watching were “playing” being adults, similar to how one would play house as a child. I could not fathom what had happened in between their past as children and their present as “adults” that marked the transition from adulthood. Without declaration, they seemed resigned to acting out small moments of adulthood when they could. Maybe I’m allowing my own preconceptions to generalize the situation. But from personal experience, our society lacks a mechanism that indicates to someone a solid transition to adulthood. Instead I feel like I’m simply “playing” adult at some moments while being anything but during the rest of my life. I believe that my society would benefit from a real, recognizable rite of passage. Not substitute rites of passage either, a term I define as certain events that have a main utility that isn’t to mark an entrance into adulthood. For example, getting a driver’s license or graduating high school is seen as a rite of passage by many. But I think they really exhibit my point in how much society craves rites of passage. We latch onto things that deal with learning how to parallel park or to do algebra and add secondary associations of transition because we are desperately looking for a hard trigger to act as a societal parameter. The few true rites of passage that exists today, such as Bar and Bat Mitzvahs and Christian Confirmation, suffer from glaring issues that prevent them from solving the issue. First is that they’re only recognized by sects of society. Going through a Bar Mitzvah doesn’t mean that a boy’s transition will be recognized anywhere outside the Jewish community. Second, ingrained traditions override the practical utility that you get from recognizing a Rite of Passage. Bar and Bat Mitzvahs set the age you become an adult at 13. This made more sense thousands of years ago, when people lived shorter lives and didn’t go to school so as soon a they turned thirteen, males would go straight to full-time farming or other professions while women would start a family. But in America today I don’t think you can find anyone, even among the Jewish community, that would say the age of 13 is when one is capable of handling the responsibilities of adulthood and should be recognized as such. It’s my observation that Jewish communities use it more as a way to stay connected to their culture and values and less to indicate someone as an adult. A unified, broad, rite of passage that’s accepted throughout America could clear up so many of the muddled emotions people feel as they get older. Walking through the forested paths of Douglass campus in the middle of the night would cause one’s mind to wander. I always found myself walking the paths around 1 or 2 AM on Tuesday and Thursday nights, after debate meetings. I thought about a lot of things but one topic continued to remain salient. I would remember pulling away from my driveway, my mom driving me towards New Brunswick, and moving into my dorm. No ceremony, no overt or covert acknowledgement. One day I was living with my family, the next day I had moved out. I thought about how with barely a word I had just left my father as I went down the driveway, and would soon be leaving my mother and brother after they helped me move in. Walking in the night, the trees lit by moonlight and street lamps, I would find myself enveloped by a deep sadness and repressing a tear. I felt that I owed to my family and myself that such a moment shouldn’t be so quiet, so confusing. It would only feel right if such a moment was given true recognition of it’s massive transition. But instead without a solid rite of passage to indicate I was ready and my family was ready for such a change I feel we were both left deprived of a needed reprieve. This is why we need a rite of passage. It removes a major part of our lives from doubt. In the Maasai culture, men and women must undergo circumcision before they’re considered a member of their tribe. The process is done without an anesthetic and is incredibly painful, with weeks of recovery time afterwards. Listen, I’m not saying our society needs a rite of passage that brutal. But in Maasai tribes, after a guy goes through the process, no one can call him a child anymore. So many of our social issues come down to the insidious power of labels. The labels that others apply to us, the ones we apply to others, and the ones we apply to ourselves. It makes me frustrated that we seal away our true potential under the opaque lens of labels and instead cast the shadows that people want to see of us on the public wall. All the while we hide our authentic selves, the very authenticity that when showcased instead of hidden allows use to interact with people, not their masks. But 95% of us already know the evils of racism. You didn’t need to read this for that revelation. However, there is a type of labeling that is even more prevalent than racism and at least in my own social context, more destructive. It’s the social labels that don’t have the same superficial layer of malice of racism. The labels that everyone may seen as benign or even necessary. But these labels have the same problems. They apply a universal persona, despite true actions. I feel the best way to showcase what I’m talking about is to examine some of the social norms that a lot of you reading are familiar with, mainly those in RUDU. Granted, I love most things about the team. But a huge tendency of RUDU is to assign a label on someone to define them. I had one for a short while when I first joined. It was that I was very ‘moderate’. People quickly stopped calling me that after my first in a series of rants about topics ranging from dogs to the like button on Facebook. I can see how these labels could possibly be fun. People could apply them to someone they’ve known for a long time and it acts as a funny crutch when conversation slows. The issue arises though when the debate team more then doubles in size. You suddenly have new members coming in, people that are brought up to speed on everyone in a crash course manner. When they hear you reference a label they don’t share the same field of experience you have with the person. Instead people come to be defined by their label, even if the person who originated the label never intended it to be this way. Although the people being labeled may laugh politely when it’s referenced or give a nervous grin it’s felt below the lens. Often when I’m talking with people from the club 1 on 1, away from a larger group, I get a feel for what they truly are. And what they truly are is never what the label is. Instead I’m told of how they feel hurt by the label, how they don’t feel open to people or know how to address the issue. Often times there is anger at the originator of the label. This is an issue in itself because whoever the originator is they never want to cause ill will. Yet now there is this misplaced anger at them, and they don’t understand why, causing further relationship breakdown. In the context of RUDU, in such a large team, people have a hard time breaking past these labels. Beyond the the personal harms comes what I believe is the biggest issue. They create a fake reality. Someone who has the label of being good with directions will always be asked to hold the map even if they get the group lost more than anyone else. The irony is not lost on me that although I’m decrying the use of labels in this post I was the one who created a RUDU superlatives game for our end of year banquet. However, I would not be writing this post if I had not run the game and saw how people voted. Creating that activity gave me wonderful insight of how labels influenced people’s voting decisions vs. my own personal empiric. It showed that this fake reality had more power than actual reality. It reminded me of how labels invite exploitation and harm. When I was in high school, I wore the label of being competent, timely, efficient, and a good student. Most of these weren’t true. Yet even after I had not been in class for a week straight, teacher’s would give me the benefit of the doubt even though it was so obvious I was skipping class. They refused to remove their notion of me as a good student. Despite missing deadlines in my film class my teacher still assumed that I was the most efficient person there because that’s the label I had. When someone’s constructed reality is disproved by reality they almost always defer to the constructed. This is bad. Instead of people willing to confront the truth, I was allowed to hurt myself academically and personally. Instead of people going past the filter and meeting the authentic I was left, as are so many, to be myself, but alone under an opaque lens.